With a few glorious days of sunshine last week, stunning blossom trees in full bloom and front gardens and grass verges bursting with colour and new growth it really felt like spring was round the corner, bringing with it a sense of hope, excitement and fresh opportunities. April showers may well have returned with a vengeance but this hasn’t dampened the sense of optimism that seemed to have been ushered in alongside the blue skies and gentle golden sunshine of spring. 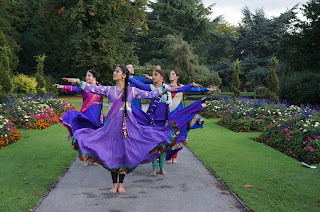 A week into my new job here at Sonia Sabri Company, I am beginning to learn some of the intricacies of the poetic and rhythmic enchantment of Kathak dance. As I sit at my desk I can hear the gentle beat of lyrical music and the tapping and jingling of bells as Sonia uses just movement and expression to tell her complex stories. Kathak is an integral part of SSCo from classical to more urban interpretation and its grace and beauty is evident throughout the company. 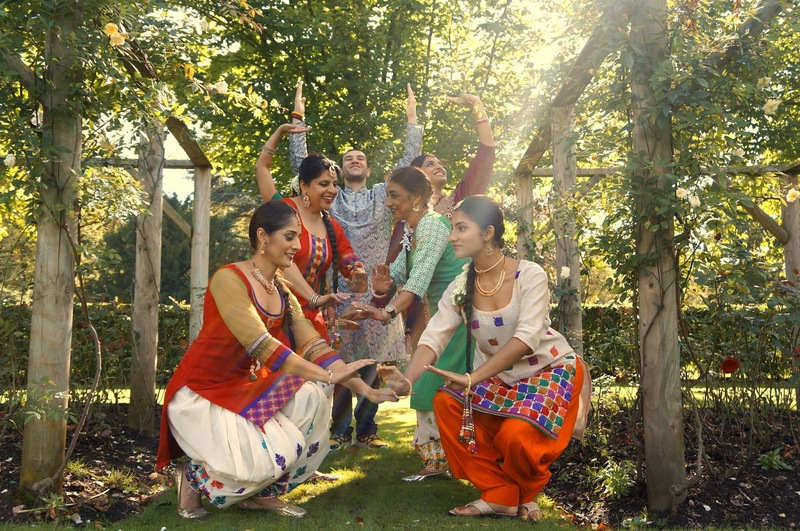 But to capture the true excitement and joy of spring and new beginnings I am thrilled that the company is piloting a new class for dance enthusiasts, South Asian Folk. Folk dances are performed to express joy and festivity and are traditionally an integral part of any celebration. Unlike the complexity of Kathak, folk dances are relatively simple with minimum steps and movement but full of energy and vitality. Folk dance is vibrant, colourful and full of joy and laughter and perfectly reflects the hope that spring can bring, a burst of colour after a winter of grey skies, cold weather and bare fields and landscapes. That's right! The successful Kathak Camp is back again by popular demand! This time around it has been our students that have asked for this to return as they were so impressed with the last Kathak intensive! Sonia Sabri Company is offering a fantastic opportunity for Kathak students to immerse themselves into a weekend intensive and inspirational course led by world-renowned artist Sonia Sabri. 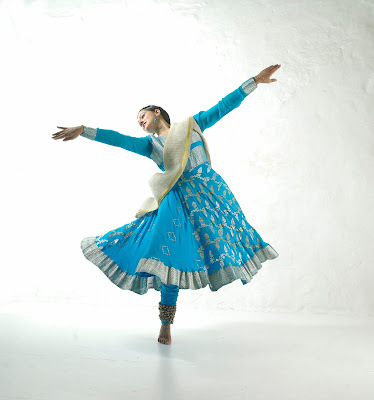 Kathak is profoundly based on the complex foundation of rhythm and percussive creativity. To execute these with a wider rhythmic palette and expressive depth, one must be able to appreciate, analyse and illustrate the Kathak vocabulary. Sessions will focus on the artform technique, development of vocabulary, creation and execution including recitation, and artform appreciation. Sonia Sabri is an award-winning artist creating and performing world-class productions around the globe. She is a current, leading performing artist who performs regularly and offers a unique insightful learning experience, and a repertoire relevant to today’s arts scene. Sonia is also an award-winning dedicated teacher with a wealth of experience and knowledge. Her generous training and guidance enables students to reach their potential and support those with a desire of developing into the next generation of artists. So come along and immerse yourself on what promises to be an adrenaline boosting experience! who enjoy learning in a fun and focused environment. Opportunity to connect with other dance students and emerging artists. Saturday 16thand Sunday 17th December 10-5pm! To receive an enrolment form, or for any further queries please contact: Melanie Lewis, Projects Manager. Deadline to enrol is 5pm Monday 4th December 2017. 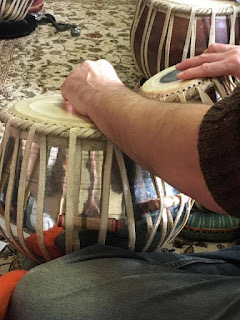 Bored with the standard gym workout class and searching for something more creative and exciting than Tai Chi in the park, I came across Sonia Sabri's Kathak and Tabla classes. I wanted something that was going to engage me, excite me and keep me entertained long after. Sonia Sabri Company host a variety of different classes for all age groups, covering the beauty and energy of Indian music and dance. I was excited to attend my first class, ready to learn more about the intricacies of Kathak dance. Kathak is a North Indian dance style that is known for its graceful and fluid movements and its rhythmic footwork. This particular dance is specialised and honed by internationally acclaimed artist, teacher and choreographer, Sonia Sabri, who not only shares her skills and knowledge in class but adds a new perspective to an already inspirational art. 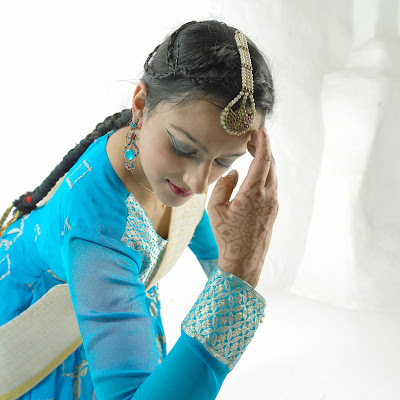 Sonia Sabri Company capture the grace, fluidity and fun of Kathak dance. I was also excited to learn about Tabla Percussion as well, which is also offered alongside the Kathak dance class. The Tabla is a culmination of two drums, a treble and a bass that are played whilst you are on the floor. This is just as exciting and immersive as Kathak with the group class syllabus being spread between learning basic strokes, speed control and rhythm from Sarvar Sabri, who is a well- renowned Tabla master. The immersive nature of the Tabla is taught by world-renowned maestro, Sarvar Sabri. The best thing about these sessions is that you don't even need to have any experience in either art, as they are taught in a friendly and open manner. However, what you will come away with is a new found knowledge of Kathak and Tabla and maybe even an urge to try it again. The classes are held in Digbeth, Birmingham, only a short 10 minute walk away from the bustling centre of Birmingham's Bullring and Grand Central Station. If you would like to try a session and are interesting in having some fun and learning a new art, then contact Melanie Lewis at 0121 622 3135 or get in touch by email at mel@ssco.org.uk. Working in Marketing for Sonia Sabri Company can be full of surprises. Some days are spent working on a laptop completing all of the admin jobs, and other days are spent 'out and about' meeting staff of other venues to make sure that everything's looking organised for the next event. Take for instance; Saturday 26th August, 2017. This was my first time since joining the company (from the beginning of August) in which I spent the entire day not only helping out at the Lok Virsa (South Asian arts and crafts event), but also in watching such amazing performances and workshops! The day was full of so much energy and the artists all looked wonderful in their colourful clothes! There were so many routines that the dancers had learnt. It must have taken them hours of practise, and they must have given up so much of their own time to rehearse for such an exciting event. It makes you think how and where this all begins! In fact it all starts right here! Yes, here in the studio space of Sonia Sabri Company in Digbeth, Birmingham. 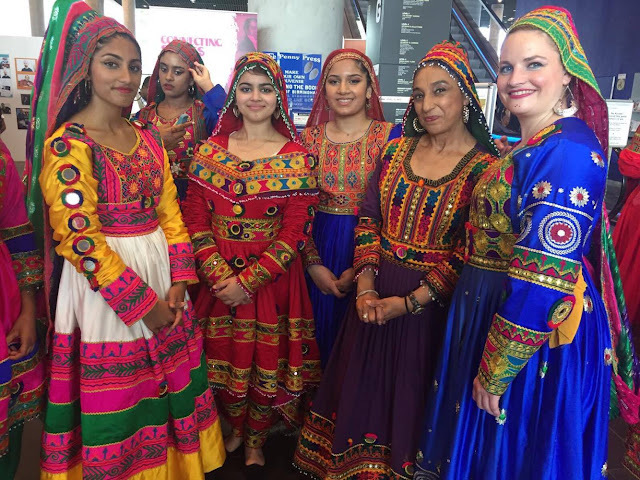 These fantastic dancers that displayed their skills have and continue to develop their Kathak dance skills through weekly classes. Some have gone into these sessions with very little experience, and some with no experience at all! So, it doesn't matter if you have danced for years or have no idea of dance. These weekly classes are open to everyone! Not only that, but there's also classes on offer for tabla too! Again, no experience is necessary! So, why not come along and join in and have fun? If you'd like to find out more about these exciting classes, then check out the link below and enrol today! And who knows, YOU maybe performing in the next Sonia Sabri Company event too!